The Kansas Fire Marshal’s Office is the lead agency for wildfire response, but it has no firefighting resources. Those resources are held by the state Forest Service, which doesn’t have enough funding to deploy the equipment. The Division of Emergency Management also serves a supporting role. The state agencies join firefighting efforts when they’re requested by local officials. “Local jurisdictions do not always know when to call for state assistance, what resources are available through the state or how the state wildfire suppression system is supposed to work,” the report found. It’s a similar situation when it comes to training 13,000 local firefighters, the audit found. The Forest Service has the expertise, but not enough funding to provide adequate training. Republican Rep. Melissa Rooker, one of the lawmakers who requested the audit, says she wasn’t surprised by the results. According to the audit, Kansas spends less per square mile on preparedness and fighting wildfires than other Great Plains states. At the high end, Texas spends $144.83 per square mile. At the low end, South Dakota spends $19.20 per square mile. Kansas spends much less — just $4.50 per square mile. More dollars would be used to boost staff, equipment and especially training, says State Forester Larry Biles. “At this point, we’ve got the equivalent of one full-time (teacher) trying to serve 13,000 students,” he said. If the agency receives more funding, Biles says they would hire more staff for teaching and establish regional offices that can more easily coordinate with local agencies. Kansas Fire Marshal Doug Jorgensen agrees more funding is needed, but he is pushing back on some of the details. Jorgensen says the audit overcounts the number of fires in recent years, making the situation appear worse than it really is. He says the audit relied on a study using satellite fire tracking and that study didn’t differentiate between wildfires and purposeful fires like controlled burns. 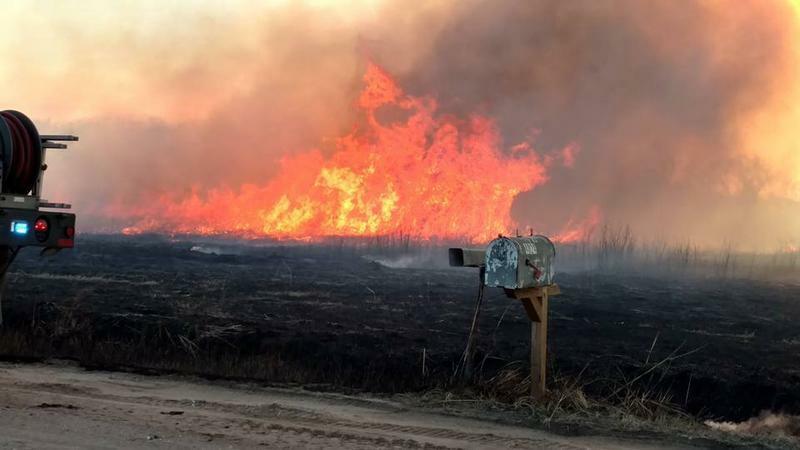 While some large recent fires have led to a hundreds of thousands of acres burned, the state fire marshal says responders have had fewer to deal with. “Overall, actual fires have decreased in the last three or four years,” Jorgensen said. And he says recent recent improvements to training and communication aren’t reflected in the audit. “There wasn’t anything in the report about the improvements that we’ve made and how we lessened the amount of fires and the length of fires this year,” he said.